Literary texts like the Mahabharata, Harivamsha, Sijupdlavadha, and Puranas contain traditions about the foundation of Dwaraka, its planning and glory. 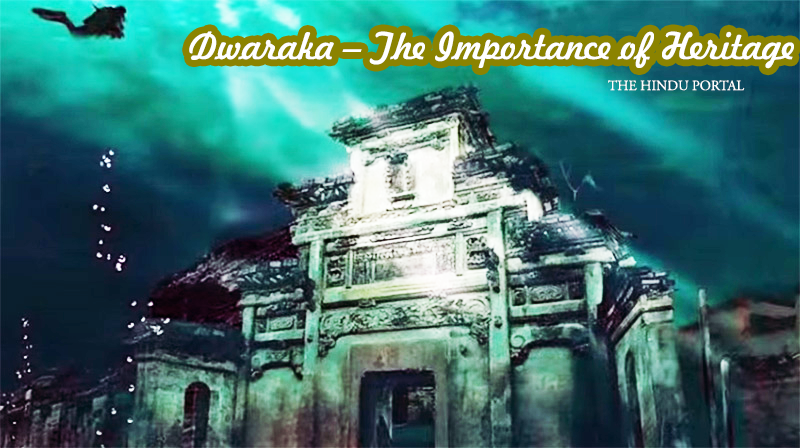 Before the legendary city of Dwaraka was discovered some scholars were of the view that the Mahabharata being only a myth it would be futile to look for the remains of Dwaraka and that too in the sea. Others held that the Mahabharata battle was a family feud exaggerated into a war. The Mahabharat war at Kurukshetra with Lord Krishna as the charioteer to the Warrior Arjuna. The Bhagavad Gita has influenced great Americans from Thoreau to Oppenheimer. Its message of letting go of the fruits of one’s actions is just as relevant today as it was when it was first written more than two millennia ago. Refer to Bhaja Govindam - kamakoti.org. 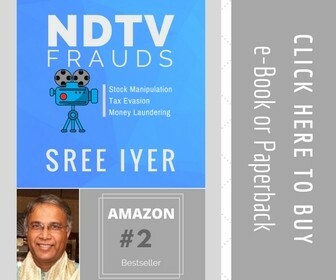 Excavations done by Dr. S. R. Rao at Dwaraka prove that the descriptions as found in these texts are not to be discarded as fanciful but are to be treated as based on actualities as seen by their authors. The architecture of the old Dwaraka of Shri Krishna is majestic and wonderful. The great poet Premanand has in his "Sudama Charit" described its splendid beauty and majesty. Dwaraka is mentioned as Golden City in Shrimad Bhagvad Gita, Skand Purana, Vishnu Purana and also in Harivansha and Mahabharat. Dwaraka on the mainland which was one of the busiest ports of the Mahabharata Period met a sudden end due to the fury of the sea. After the Mahabharata War Krishna lived for 36 years at Dwaraka. At the end, the Vrshnis, Bhojas and Satvatas destroyed themselves in a fratricidal feud at Prabhasa but Krishna did not interfere to save them. The portents of destruction seen by Sri Krishna who advised immediate evacuation of Dwaraka are stated in Bhagavata Purana. Dwaraka abandoned by Hari (Krishna) was swallowed by the sea. The submergence took place immediately after Sri Krishna departed from the world. Interesting descriptions about its construction are found in Puranas. "Fearing an attack from Jarasangh and Kaalayvan on Mathura, Shri Krishna and Yadavas left Mathura and arrived at the coast of Saurashtra. They decided to build their capital in the coastal region and invoke the Vishwakarma the deity of construction. However, Vishwakarma says that the task can be completed only if Samudradev, the Lord of the sea provided some land. Shri Krishna worshipped Samudradev, who was pleased and gave them land measuring 12 yojans and the Lord Vishwakarma build Dwaraka, a "city in gold". This beautiful city was also known as Dwaramati, Dwarawati, a2and Kushsthali. Another story says that at the time of the death of Shri Krishna, who was hit by the arrow of a hunter near Somnath at Bhalka Tirth, Dwaraka disappeared in the sea. "The sea, which had been beating against the shores, suddenly broke the boundary that was imposed on it by nature. The sea rushed into the city. It coursed through the streets of the beautiful city. The sea covered up everything in the city. Even as they were all looking, Arjuna saw the beautiful buildings becoming submerged one by one. Arjuna took a last look at the mansion of Krishna. It was soon covered by the sea. In a matter of a few moments, it was all over. The sea had now become as placid as a lake. There was no trace of the beautiful city which had been the favorite haunt of all the Pandavas. Dwaraka was just a name; just a memory." The importance of the discovery of Dwaraka lies not merely in providing archaeological evidence needed for corroborating the traditional account of the submergence of Dwaraka but also indirectly fixing the date of the Mahabharata which is a landmark in Indian history. The Thermoluminescence date of the pottery from Bet Dwaraka which is also connected with the Krishna legend is 3520 years Before Present. Identical pottery is found in the submerged city of Dwaraka. Thus the results have proved that the account in Mahabharata as to the existence of a beautiful capital city of Dwaraka of Sri Krishna was not a mere figment of imagination but it did exist. Besides the sea-ports, there were renowned cities which were washed away by the rivers on whose banks they were situated. We may cite here the case of Hastinapura and Pataliputra, situated on the bank of the river Ganga and falling victims to flood-fury. The Mahabharata mentions that Hastinapura was washed away by the Ganga and consequently the Pandavas had to migrate to Kaugdmbi. Pataliputra which was the premier city of the land (agranag-ara) and the test of the excellence of all the cities (samasta-nagarf-nikasdyamand) in the words of Dandin, the author of the DaSakumaracharita, later became the worst victim of inundation. The submerged parts of these cities are to be treated as protected monuments and great treasures of our ancient heritage. If Dwaraka excavations throw a flood of light on the history of the city which was associated with the life events of Krishna, the under-water excavations of Ayodhya situated on the bank of the river Sarayu might yield valuable information about the historicity of Rama, his age and contemporary urban status. (note: Lord Krishna was born at midnight on Friday, July 27, 3112 BCE. This date and time have been calculated by astronomers on the basis of the planetary positions on that day recorded by Sage Vyasa. Mahabharata War took place on November 22, 3067 BCE. The Bhagavad Gita was compiled around 500 BCE. - source: The Hindu Mind - By Bansi Pandit). Marine archaeology is a new subject and a little-explored one, mainly due to the lack of funds, scientific and other necessary equipment and even trained divers, besides a dearth of qualified marine archaeologists.